Today I am pleased to present to you an interview with Rosemarie Lavin talking about her newest fabric collection Breeze. Q: What was your main inspiration for Breeze? A: The inspiration came from my garden. I grow all types of hydrangeas and lilacs. 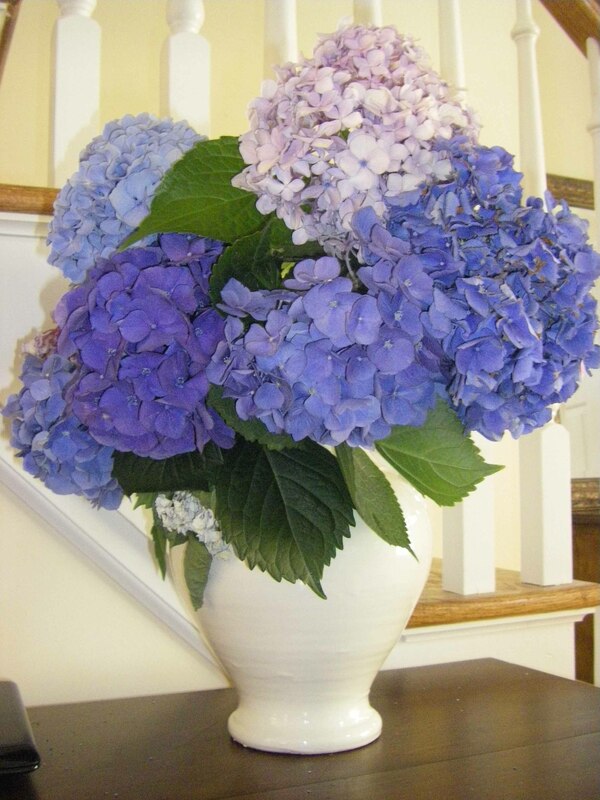 All summer I pick huge bouquets of flowers and put them in every room in my house (I've included a photo). They come in such a wide variety of colors. Creamy whites, soft grassy greens, deep rich blues and all the beautiful purples in between. And that is the colors of Breeze. The patterns are inspired by the flower and the colors. I tried to mix the colors in a way to achieve dark and light tones throughout the collection. Sewers can play them off each other for their unique creations. I can’t wait to see all the projects people will make and do hope they will send me photos at rosemarielavin@gmail.com. Q: What pattern from the Breeze collection is your favorite? 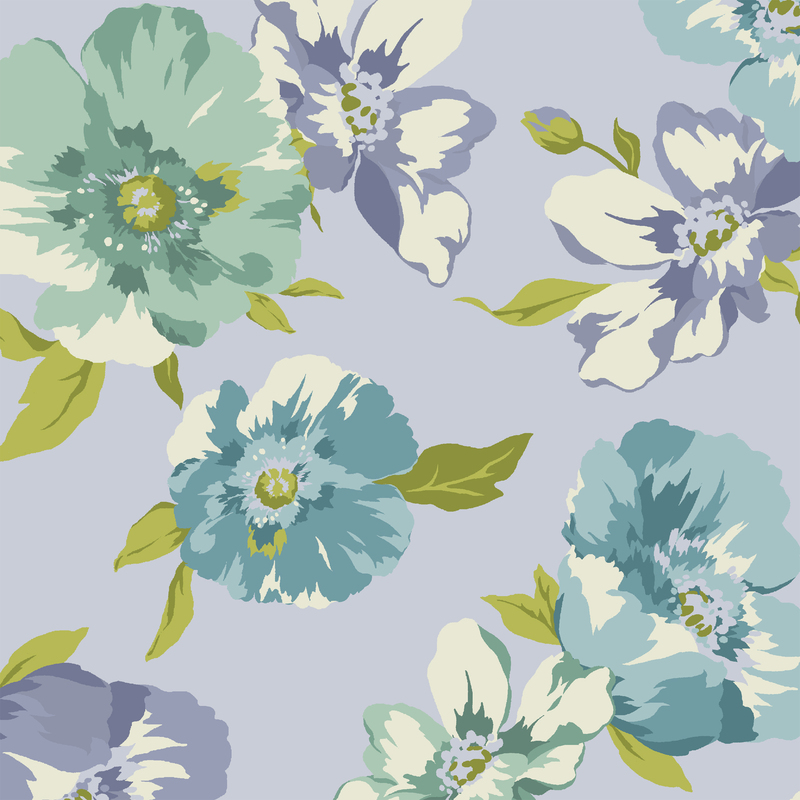 A: It’s hard for me to pick one favorite pattern from the group, but I am a little partial to the lilac ground floral. Q: What advice would you give an aspiring fabric designer? A: As for advice to aspiring designers I would tell them what I tell my sons. Do what you love and hopefully good things will follow. I have had an art studio for many years and never get tired of it. I feel bad for people that have to get up every day and go work at something they don’t like. Q: If you were asked to describe your personality as any color, what color would it be? A: Color is such an integral part of my life that I am not always the same color. I think my color changes with the seasons and with the projects that I’m working on. I'm bright happy orange in the summer and soft cool blue in the winter. Q: Besides designing beautiful fabric, what are some of your favorite things to do in your spare time? A: In the summer we spend a lot of time outdoors, at the beach or on our boat in the Great South Bay. I have to admit to spending way too much time at tag and yard sales on the east end of Long Island. I think I'm addicted, as are a few members of my family (I won’t mention names but they know who they are). My other addiction is WORDS WITH FRIENDS (like Alec Baldwin) I am currently involved in 5 or 6 games. If anyone wants to play you've got my email. Win a Breeze Fat Quarter!!! 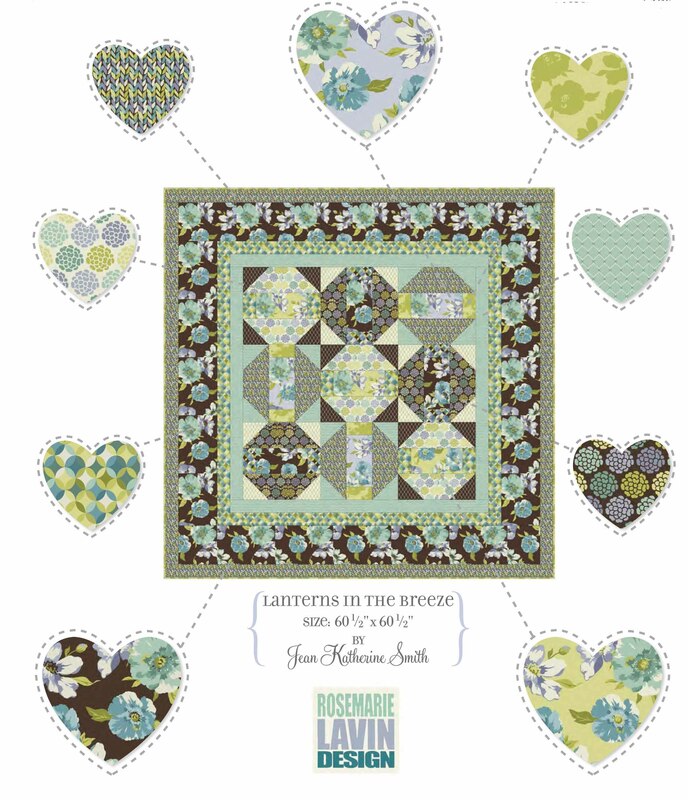 Starting Thursday, February 2nd until Friday, March 2nd three lucky contestants will have a chance to win a Fat Quarter from the Breeze collection by Rosemarie Lavin. Go to http://twitter.com/windhamgirl and click follow. 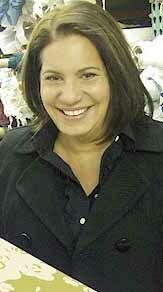 Next send an email to Jennifer@baumtextile.com telling me what you like most about the Breeze collection. Three prize winners will be selected by a random drawing. Entries received after March 2nd will be disqualified. All winners will be notified the first week of March. Good Luck and Happy Quilting!! I love he soft, cool colors of this fabric collection. I just became a new follower and look forward to reading this blog regularly. 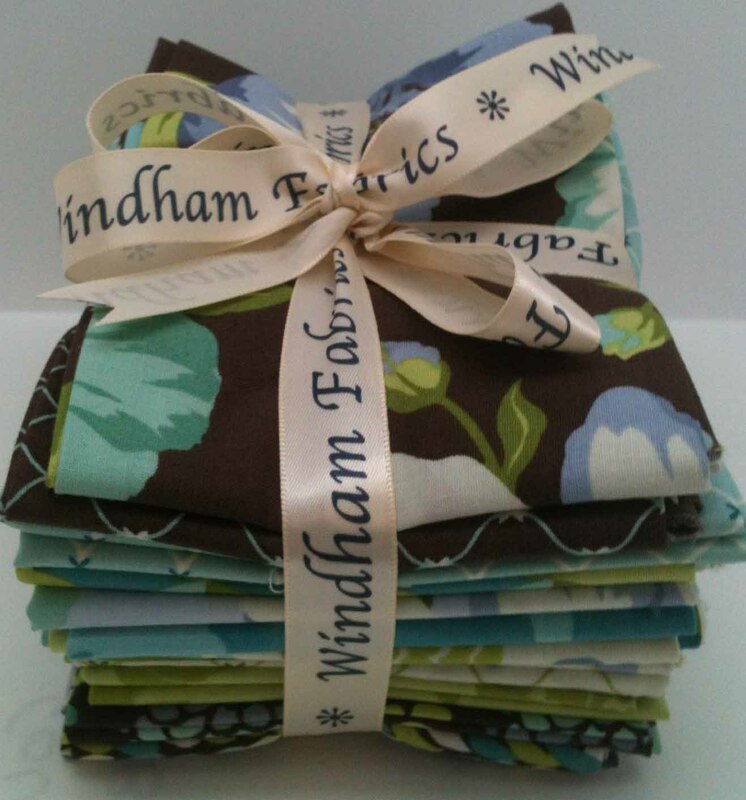 Welcome to the Windham Fabrics Snipits blog and thank you som much for joining! !